Modern homes boast technologically advanced appliances designed to make life easier. 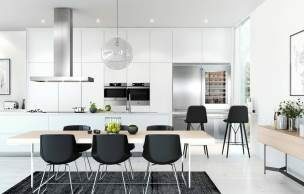 Integrated kitchen products look great, save space and create stylish appeal, and if you are looking for a premium appliance that will show off your new kitchen, the choice is easy with ASKO. How to choose the best style of refrigerator? There are some luxuries that can transform you kitchen into a space suitable for a masterchef. Freestanding refrigerators are being superseded by built-in integrated fridges that offer lots of user-friendly advantages, including creation of spacious open-plan living for indoor/outdoor entertaining. ASKO integrated refrigerators embody all the appeal of Scandinavian style, where the smooth minimalist exterior conceals impressive functions, powerful motors and adaptable compartments that ensure storage space is never an issue. ASKO refrigerators adapt to changing household needs as your family evolves. Independent temperature control of all refrigerator compartments is a stand-out feature designed to accommodate additional freezing and chilling requirements. ASKO refrigerator style allows all foodstuffs to remain perfectly fresh, while bulky items can be accommodated with ease. There is zero food deterioration when using an ASKO refrigerator, making them good for the environment and even better for your wallet. ASKO refrigerators are built to last for decades of reliable performance, offsetting the up-front integrated appliance cost over the lifetime of your chosen product. What styles of refrigerators can you buy? 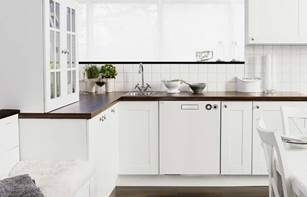 The ASKO appliance range is favoured in new builds and kitchen renovations where quality matters. We specialise in built-in refrigerators that provide real advantages to the chef and are compatible with other outstanding ASKO kitchen products. You can even tailor your entire kitchen with space-saving ASKO Pro Series appliances that work together in harmony. 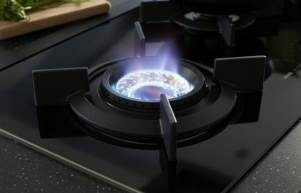 Our product range for Australian homes includes pyrolytic and steam ovens, induction cooktops, powerful Fusion Volcano wok burners, specialised warming drawers and a whole lot more. Quality refrigerators can last for decades, making your astute purchasing decision important, so here are just a few benefits of ASKO refrigerators. For amazing adaptability and a real touch of class, your refrigerator and freezer/wine-chiller are a perfect match side-by-side. Power bills are no small matter in today’s economy and the 4-star energy rating guarantees big savings over the lifetime of long-lasting ASKO appliances. Which style should you choose for your kitchen? Dual Refrigeration: In ASKO refrigerators, each area is independently closed off, allowing you to establish the ideal climate for every type of food and beverage. Each fridge section has its own compressor and evaporator for humidity control and frost-free storage of all fresh and frozen items. Convertible Drawer: Each ASKO refrigerator model has a convertible extra drawer with separate temperature controls. The choice is yours for establishing fresh-food, freezer or wine mode depending on your specific requirements. Cooling Drawer Solutions: Your ASKO refrigerator features a cooling draw with adjustable divider and five different position options. Storing awkward sized items is no problem with ASKO. 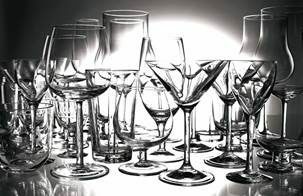 Superior Wine Care: Keeping wine perfectly chilled is the secret behind beverages that taste better and last longer. Your ASKO wine chiller is an extremely attractive kitchen addition, where bottles are displayed on the angled beechwood rack, including beverages that are already opened. Separate temperature zones allow you to store both red and white wine at the perfect temperature, ready to enjoy. 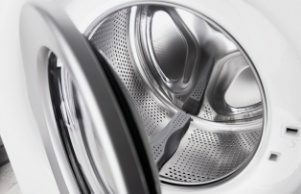 Superior stainless steel manufacture finished in pure white remains the popular choice in Australian homes. Your integrated ASKO refrigerator can even be installed by an ASKO-trained installation expert who understands the product inside-out, with the additional incentive of a 12-month warranty for workmanship. For a completely integrated kitchen where appliances remain unseen except when in use, you have the option of concealing the refrigerator door by using materials that match existing cabinetry. Where can you see refrigerator styles in person? The demand for premium ASKO products in Australian homes has resulted in more than 600 retailers around the country showcasing our products. 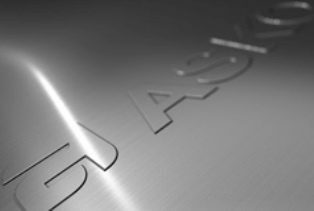 ASKO retailers are chosen for their dedication to high quality appliances, superior customer service and broad industry knowledge, and there is probably an ASKO agent near you. You can locate your nearest ASKO representative here for more kitchen inspiration.